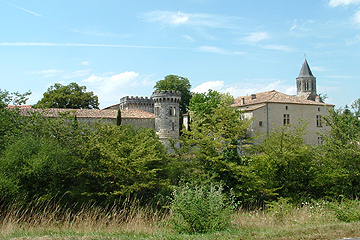 Torsac is a quiet village situated about 10 kilometres to the south of Angouleme, in the Charente department in the gentle rural landscape of Poitou-Charentes. France This Way comment: Torsac is too small to be a destination in itself, but makes for a pleasant diversion when you are exploring the villages of this part of the Charente. Although a small village, Torsac contains several buildings of historical interest. The first of these is the Church of Saint-Aignant, built in the 12th century (modified in the 16th century) and with an unusual octagonal belltower. Inside the church you can see some decorative capital stones, a 15th century fresco showing Christ surrounded by the evangelists, and a wooden statue of the Virgin. The second major monument you will see in Torsac is the castle. Much altered over the years, the original medieval castle was substantially modified in the 17th century (and the 'medieval' appearance to the top of the round towers was added in the 19th century). 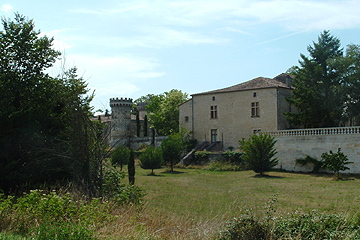 Finally, the presbytery in the village next to the church is an attractive house with terraced gardens. There is also a traditional washhouse in Torsac. 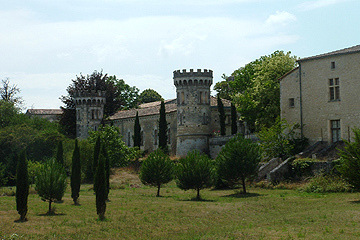 Torsac is one of numerous small villages and towns to explore in Charente. 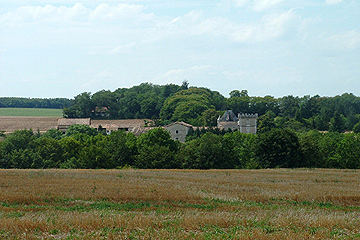 Others in the region include Charmant, Villebois-Lavalette and Mouthiers-sur-Boeme. 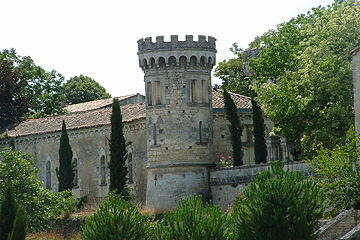 The town of Angouleme is the most important town in the region and has several sites of interest. 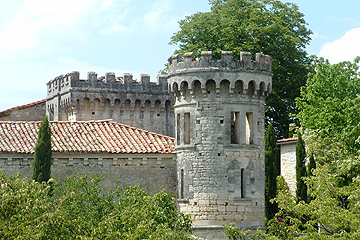 You can find more local travel ideas in the Charente guide and the Poitou-Charentes guide.